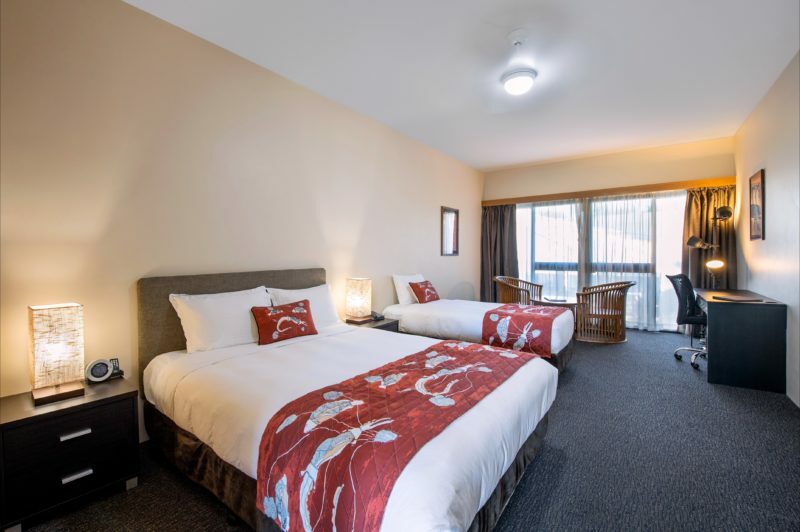 Indigenous owned Mercure Crocodile Hotel Kakadu is deluxe accommodation located in Jabiru, approximately 3 hours drive from Darwin and ideally located for visitors to explore the north of Kakadu, including Ubirr, Cahills Crossing and Magella Creek. 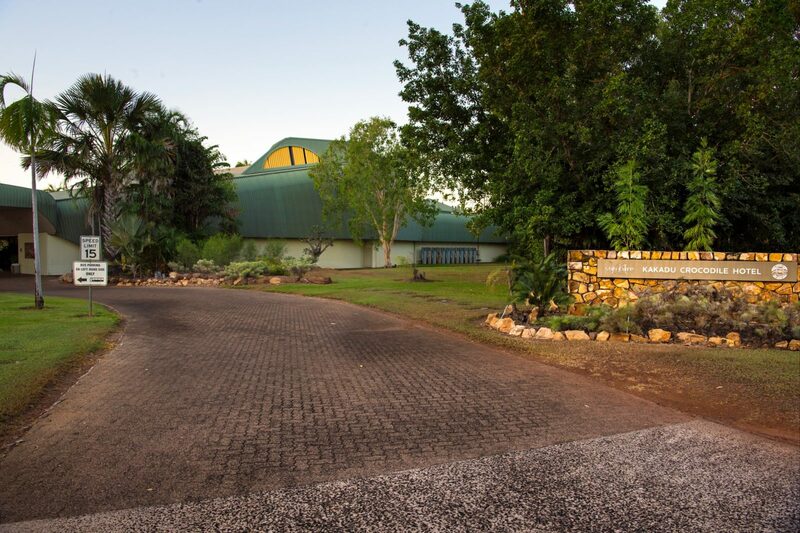 The hotel is uniquely shaped to represent Kakadu’s most famous inhabitant, the saltwater crocodile. See indigenous art including paintings and didgeridoo in the hotel art gallery and on the lobby and interior walls. Relax in a spacious air-conditioned room, unwind in your private courtyard, by the shaded outdoor pool or take in the landscaped interior garden view from the balcony. After an adventurous day, dine at Escarpment Restaurant and Bar. 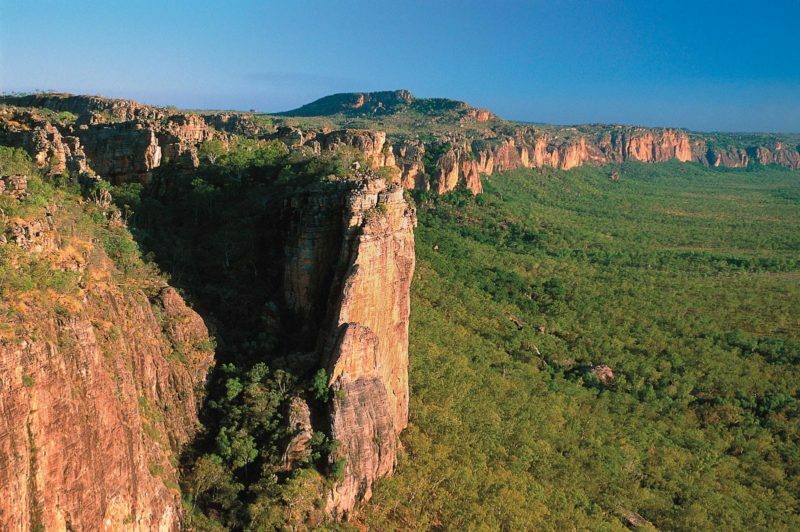 Kakadu National Park offers a number of breathtaking walks and stunning natural attractions. 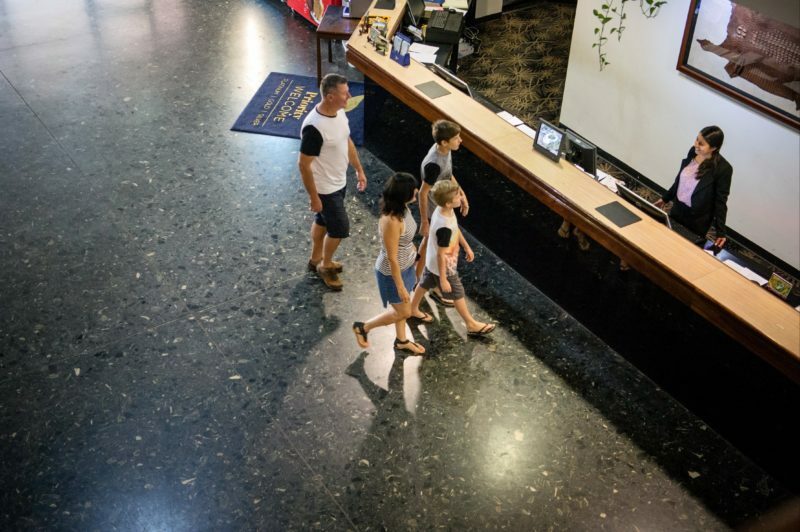 Visit the Warradjan Cultural Centre to see displays of the traditional owners’ stories for an insight into both traditional and contemporary Aboriginal culture. Take a cruise at either sunrise or sunset to see the wildlife on Yellow Water Billabong. Fish for some of the country’s best fresh water barramundi or catch a spectacular sunset and see an ancient rock art site at Ubirr. 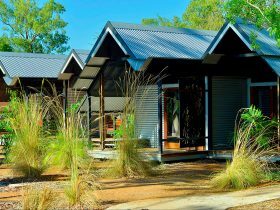 Relax in the comfort of a recently refurbished, room in the only deluxe accommodation in Kakadu National Park. Furnished with modern queen and double beds the spacious rooms have ease of access to on-site facilities including shaded outdoor pool, air-conditioned restaurant and bar and on-site gallery.